If you took all the taxes a country pays each year on one hand, and all the money that people earn on the other, tax freedom day represents the day after which the country’s taxes would be paid by its citizens and the remaining earnings free to spend as they wish. It’s a national average as each individual’s tax freedom day would be different, though in principle you can calculate your own. 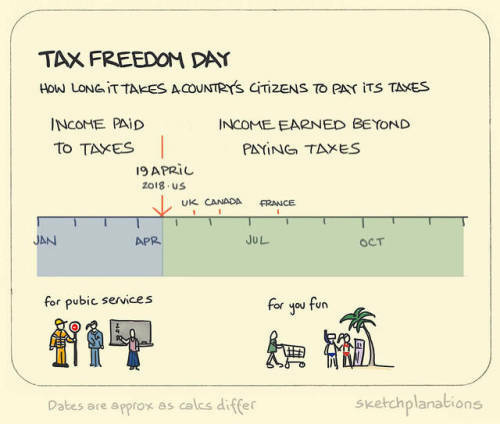 Given taxes vary between countries, each country has a different tax freedom day — though it’s not easy to compare as calculations tend to differ. In the US it’s calculated by the Tax Foundation.